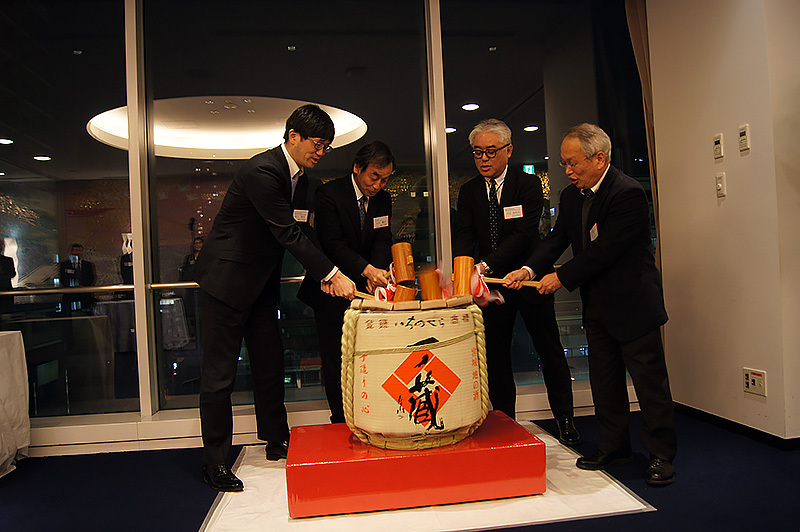 of the ECHONET Consortium were held. 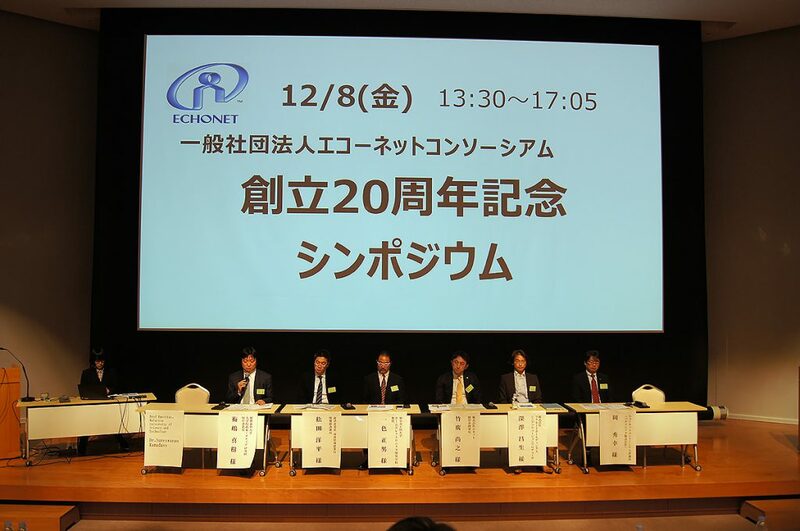 Since its foundation on December 9th, 1997, the ECHONET consortium celebrated its 20th anniversary on December 9 this year. 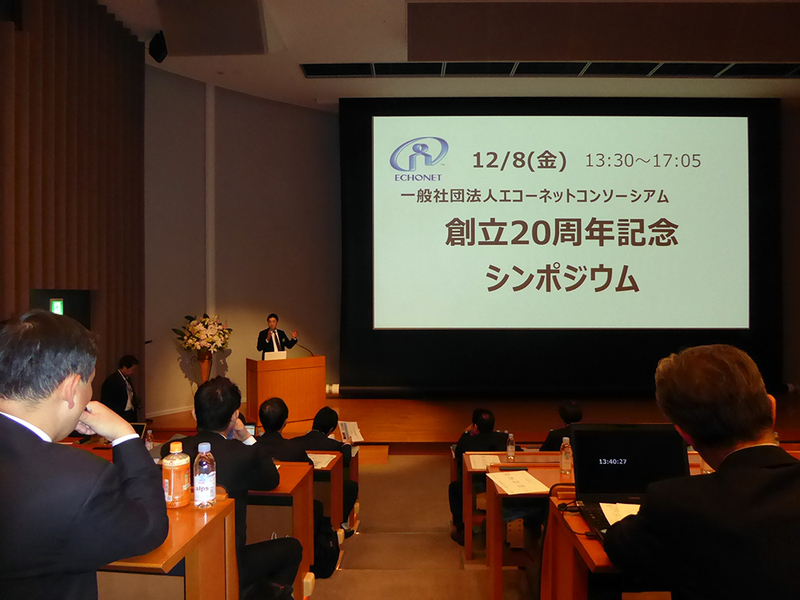 To celebrate it, on 20th December we held the 20th anniversary symposium and a reception at Akiba Hall (Akihabara, Chiyoda-ku, Tokyo). 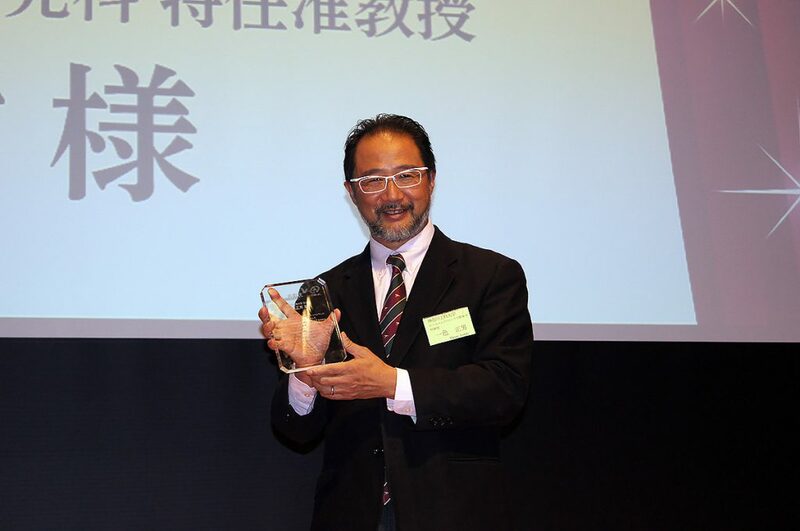 At the symposium, Mr. Yohei Matsuda, Information Economy Division, Ministry of Economy, Trade and Industry, presented a congratulatory message. 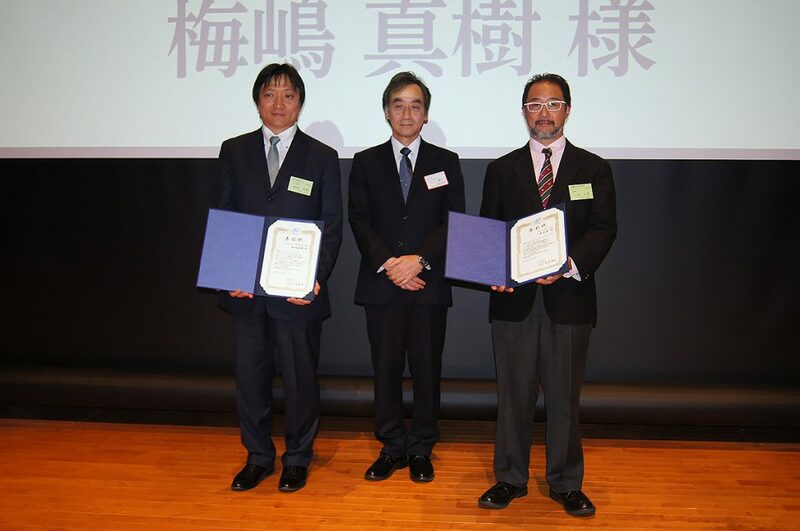 In addition, we invited the two important members of Kanagawa Institute of Technology Professor Masao Isshiki and Keio University Project Associate Professor Masaki Umejima, who contributed to the development of the ECHONET consortium, and we presented the awards to them. 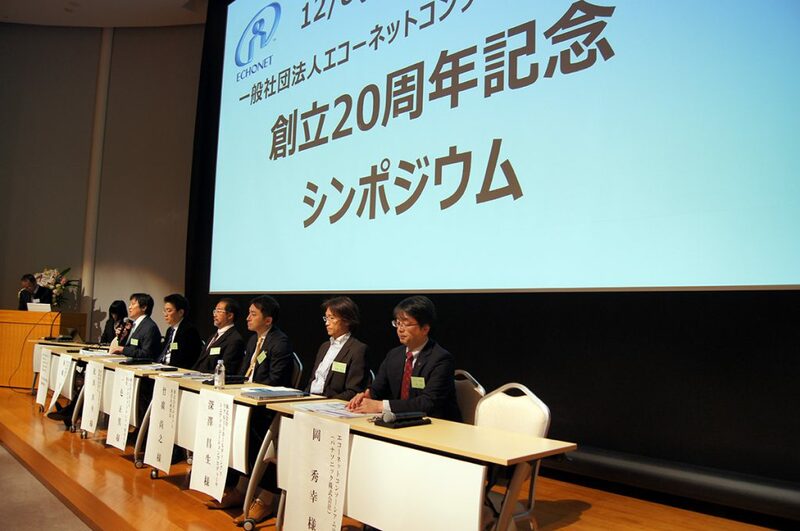 In the panel discussion which was the main event of the symposium, under the moderation of the Project Associate Professor Umejima of Keio University , the prominent persons from industry, government and academia as the panelists, discussed the ECHONET Lite standard to the global development in IoT society about such expectation and challenges. 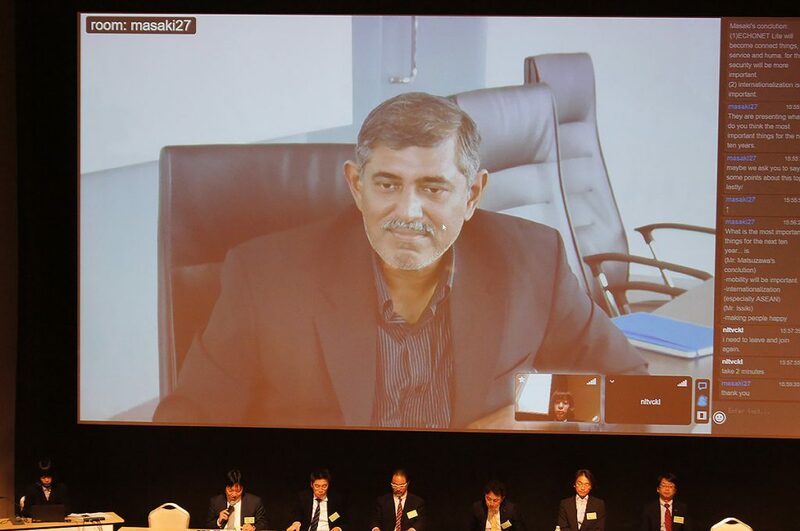 In addition, the ECHONET Consortium prepared the net connection with Malaysia, where is the bridgehead for developing our standard in the ASEAN region, and invited Dr. Sureswaran Ramadass, Professor of the University of Science and Technology of Malaysia, also as one of the panelists and he gave the presentation for the possibility of the expanding cooperation between IoT and ECHONET Lite. 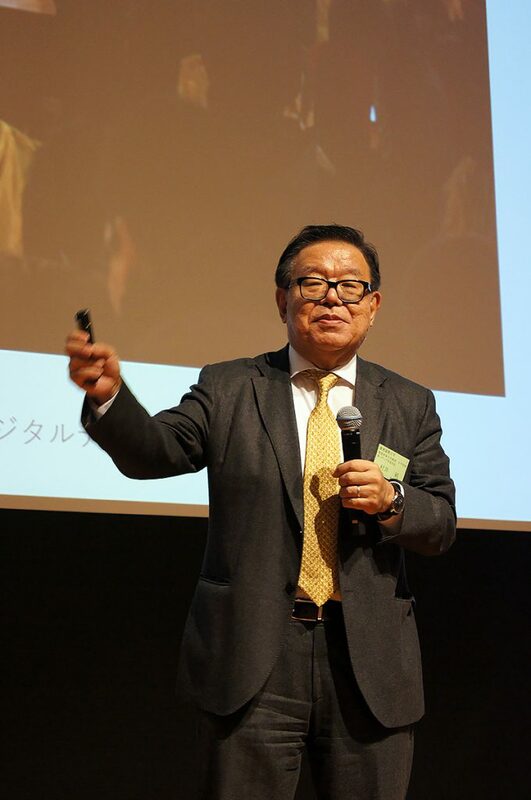 In the special lecture, Professor Murai of Keio University, who is called “The Father of the Internet in Japan” told enthusiastically about the anticipating appearance of the IoT society and the various technologies necessary for realizing it. 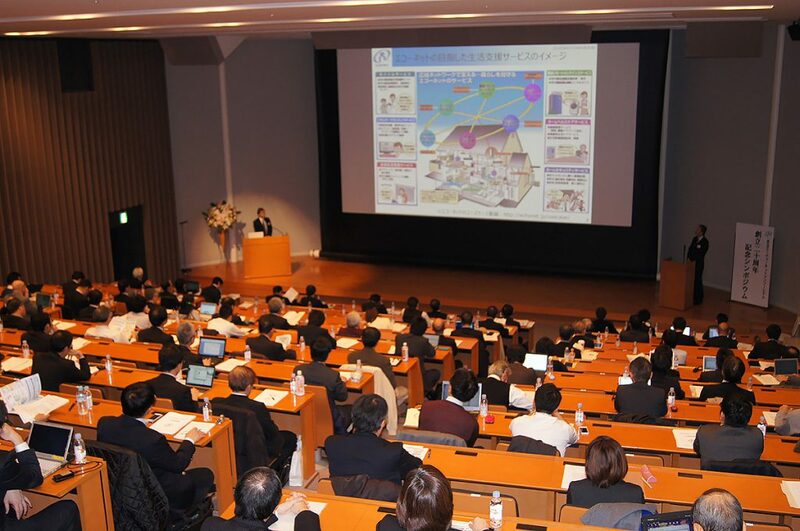 His presentation gave a big encouragement to the activity of our consortium in the future. 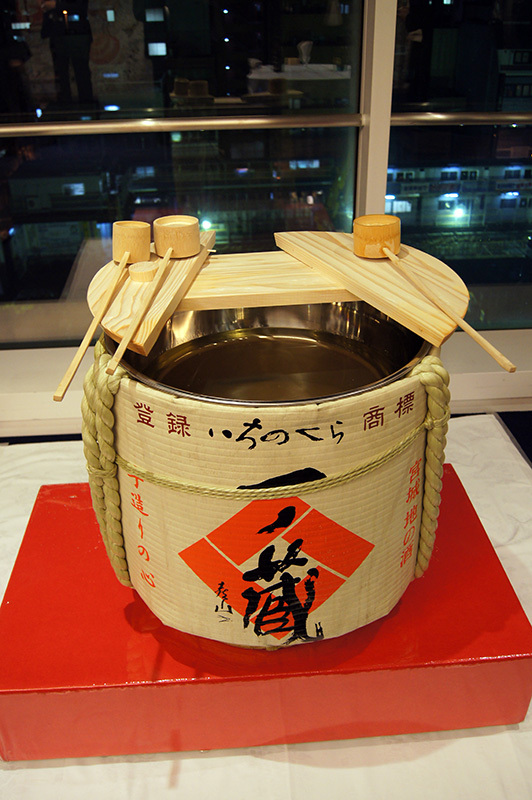 We welcomed the participation of 142 people at the symposium, and this event was closed successfully. ・Mr. 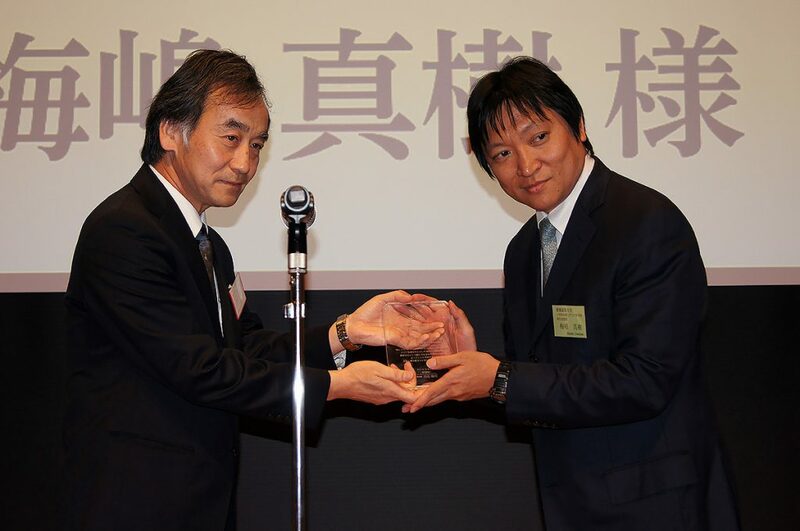 Masao Fukazawa, Senior Solutions Producer, Recruit Holdings Co.,Ltd. 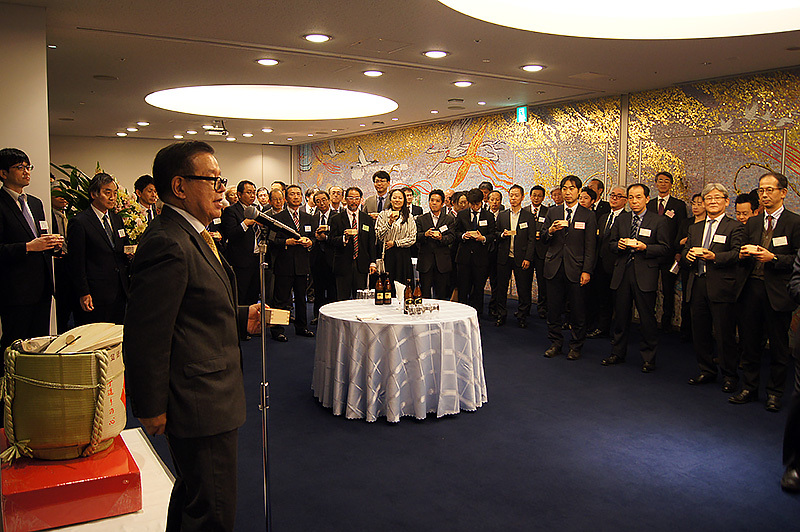 At the memorial reception held after the symposium, Professor Murai (the special lecturer at the symposium), Special Project Associate Professor Umejima (the moderator at the panel discussion), many panelists and the ECHONET related senior members, some of who are the old members at the dawn of the ECHONET consortium, participated there. 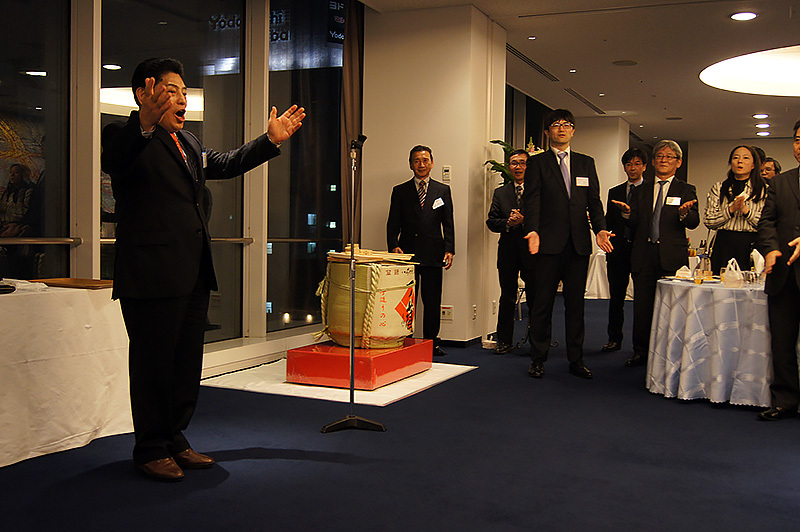 The participants remembered the time and talked together about the past performance and also about the blessings and exchanged the words of great encouragement in the future development. 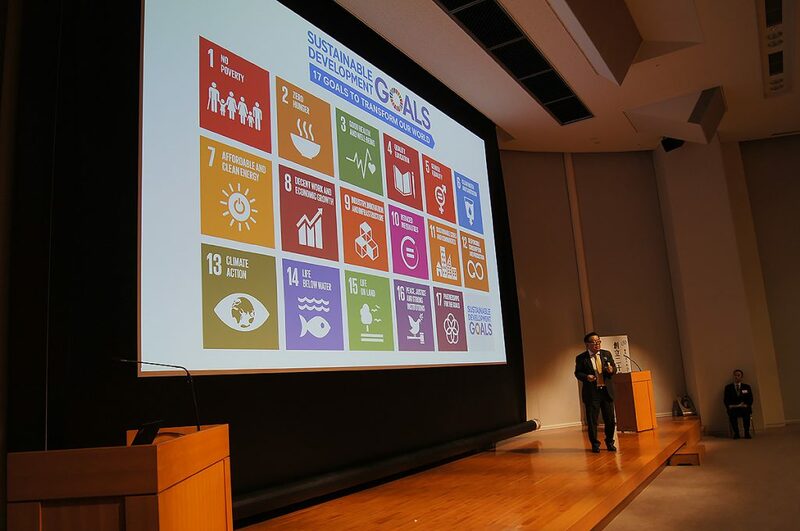 For your reference, the presentation materials, which were discussed at the symposium, are ready to be excerpted and downloaded from the ECHONET Consortium HP. 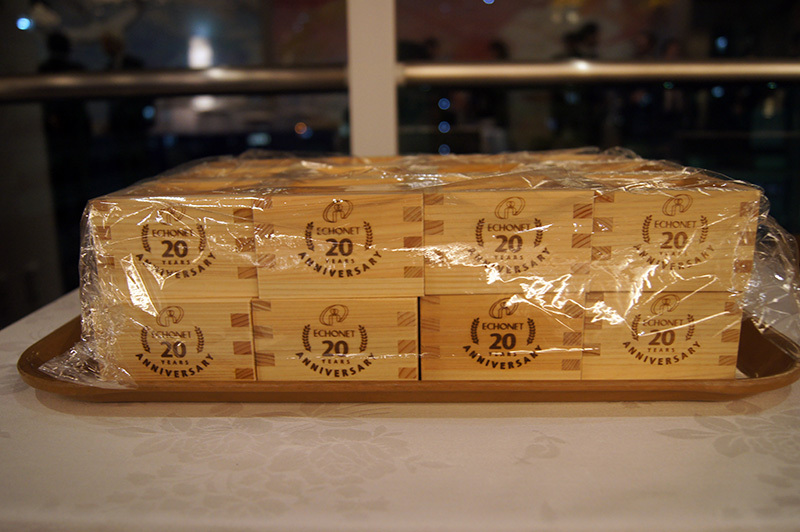 In addition, the ” ECHONET Consortium Twentieth anniversary magazine” which we distributed at the symposium, also is ready to be downloaded from the” download / brochure page “of the ECHONET Consortium HP.